(5:54 p.m. GMT) -- Celebrity Eclipse will not be based in Southampton for the first time in eight years in 2018, Celebrity Cruises has revealed. One of the U.K.'s consistently most popular ships -- with Cruise Critic member approval ratings of well into the high 80s -- Celebrity Eclipse will instead split its time between Dublin and Amsterdam, as hinted by Celebrity a fortnight ago. 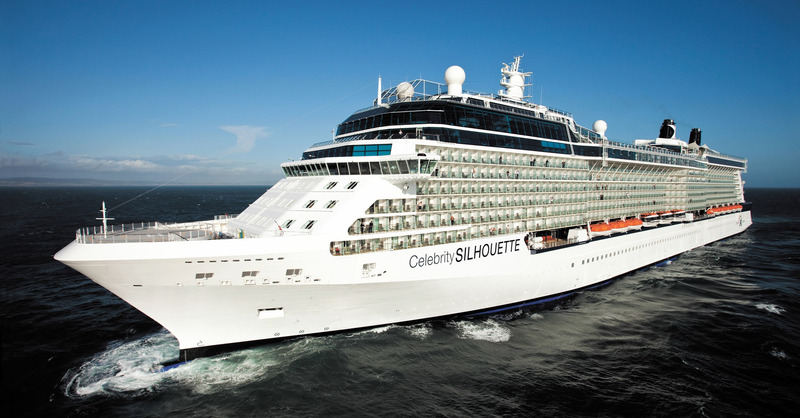 Southampton will instead welcome sister ship Celebrity Silhouette from summer 2018. The 2,886-passenger ship will offer seven- and eight-night Norwegian Fjord sailings; seven 14-night Scandinavia and Russia sailings on three different itineraries and 14-night Mediterranean, Canaries and Azores, and Iceland and Ireland sailings from Southampton. Eclipse, meanwhile, after eight years of homeporting in Southampton, will offer a mini season out of Dublin, starting in late April through June 2018 -- making Celebrity the first major cruise line in the world to homeport out of Dublin. Itineraries will include a 10-night Ireland and Iceland sailing calling at Belfast, Reykjavik, Iceland; Akureyri, Iceland; Lerwick/Shetland, Scotland; and Cork, Ireland as well as offering an eight-night Norwegian Fjords itinerary. From late June 2018, Celebrity Eclipse will be based out of Amsterdam, offering 12-night British Isles itineraries and 12-night Scandinavia and Russia sailings. In September, the ship will sail from Barcelona for a 12-night Western Mediterranean and a 12-night Italy and Greek Isles sailing. Celebrity Reflection will continue to offer its 11-night Western Mediterranean sailings, as well as 10-night East Mediterranean itineraries. And Celebrity Constellation will offer enhanced Mediterranean itineraries with a series of three seven-night sailings to the Greek Isles; Italy, France and Spain. Throughout the rest of the season, Celebrity Constellation will offer nine- and 12-night sailings throughout the Mediterranean, including stops in the Greek Isles, the Holy Land, the Western Mediterranean and the Adriatic. Collectively, the new 2018 European itineraries feature 55 overnights in 19 cities and three double overnight stays in Europe. Outside of Europe, Celebrity Infinity will continue to offer a seven-night, round-trip itinerary to the Hubbard Glacier from Vancouver. Celebrity Solstice will offer a seven-night roundtrip Tracy Arm Fjord itinerary from Seattle, Washington. And Celebrity Millennium can enjoy alternating open-jaw sailings out of Vancouver, British Columbia, or Seward, Alaska.